In this episode of our Everyday Emergency podcast, we hear from three MSF medics who have been working in the Syrian city of Raqqa. A former stronghold of the so-called Islamic State, Raqqa is littered with improvised explosive devices and remnants of war that are causing dire consequences for people returning to the city. Doctors Javid Abdelmoneim and Pippa Pett, along with nurse Michael Shek, helped to establish a trauma stabilisation unit in the east of Raqqa. The role of the unit is to save lives in the crucial minutes after trauma. The team work to stop bleeding, wash wounds, splint broken bones and start patients on antibiotics to control infections, all with the aim of transferring those in need to our hospital in Tal Abyad – two hours’ drive to the north – where we have full trauma surgery services. In this episode, Javid, Pippa and Michael describe their first impressions of the city, what it was like to run a trauma unit from a suburban house, and how children with a little known disease are finally getting the help they need. Find out more from Javid, Pippa and Michael about their experiences in Raqqa. 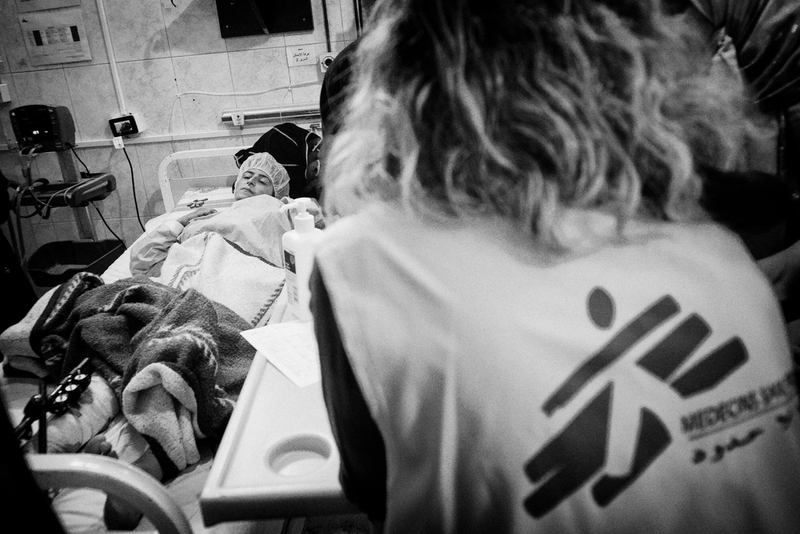 "In just one month in Raqqa, I treated more severely wounded people than I’ve seen in the past three years in A&E"
"Every little thing the team is doing here is saving lives. From the meticulously rehearsed mass casualty plan, to the supplies of painkillers, antibiotics and blood."